Keywords: Counterexample, mathematics, validation, teaching, learning. This article describes a theoretical-didactic approach to the counterexample within mathematics and its process of teaching-learning, emphasizing the importance of inducing a logical thinking by introducing counterexamples as a process of maturation of mathematical thinking. In addition, it is argued that the counterexamples are not very used in the teaching of mathematics, unlike the important role they have in the professional mathematic activity. 1. Antibi, A (1988). Etude sur l’enseignement de méthodes de démonstration. Enseignement de la notion de limite: reflexions, propositions. PhD thesis, Toulouse. Universidad Paul Sabatier. 2. Antibi, A (1999). La motivación en matemáticas: ¿la del profesor?¿la del alumno? Actas de las 9as Jornadas para el aprendizaje de las matemáticas. 22-25. 3. Arnal-Bailera, A. y Oller-Marcén, A. M. (2017). Formación del Profesorado y Demostración Matemática. Estudio Exploratorio e Implicaciones. Bolema, 31, 57,135-157. 5. Arsac, G (1987). L’origine de la démostration: essai d’épistemologie didactique. Recherches en didactique des mathématiques, 8(3): 267-312. 6. Arsac, G (1988). Les recherches actuelles sur l’apprentisage de la démonstration et les phénoménes de validation en France. Recherches en didactique des mathématiques, 9(3): 247-280. 9. García, O. y Morales, L. (2013). El Contraejemplo como Recurso Didáctico en la Enseñanza del Cálculo. Revista Iberoamericana de Educación Matemática, 13, 161-175. 10. Gelbaum, R. & Olmsted, J. (1964). Counterexamples in analysis. San Francisco. Holden Dav, Inc.
11. Giannakoulias, E., Mastorides, E., Potari, D., y Zachariades, T. (2010). Studing teachers’ mathematical argumentation in the contexto of refuting students invalid claims. The Journal of Mathematical Behavior, 29, 160-168. 12. Huang, Ch.(2014). Engineering students’ generating counterexample of calculus concepts. 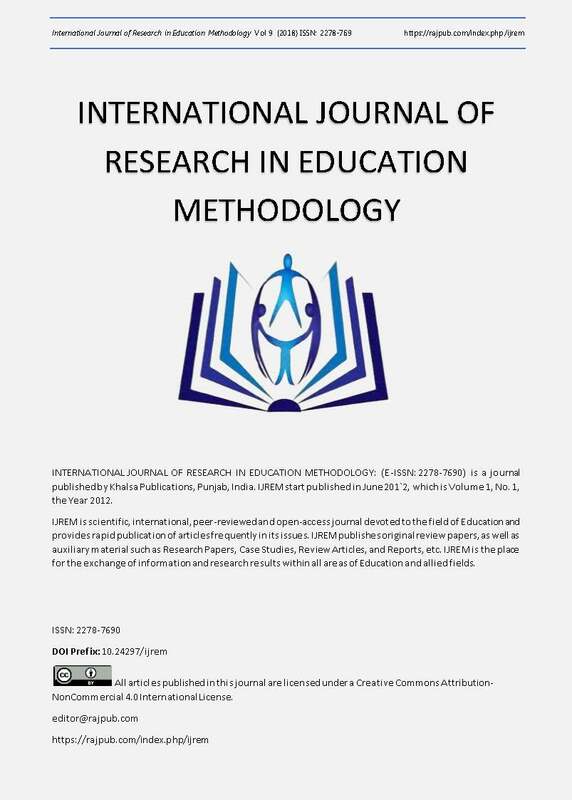 Global Journal of Engineering Education, 16(2), 93-97. 13. Huchecorne, B. (1988). Les contre-exemples en mathématiques. París. Ellipses. 14. Hersh, R. (1993). Proving is convincing and explaning. Educational studies in Mathematics, 2(4): 389-399. 15. Kleene, S. (1967) Logique mathématique. Amsterdam. North-Holland Publishing Company. 16. Klymchuk, S. (2010). Counterexamples in Cálculus. Mathematical Association of América. Resource Materials. United States of América. 17. Knuth, E. J. y Ko, Y. (2013). Validating Proofs and Counterexamples Across Contente Domains: Practices of Importance for Mathematics Majors. The Journal of Mathematical Behavior, 32, 20-35. 18. Komatsu, K. (2010). Counter-examples for Refinement of Conjectures and Proofs in Primary School Mathematics. The Journal of Mathematical Behavior, 29(1), 1-10. 19. Komatsu, K., Jones, K., Ikeda, T., y Narazaki, A. (2017). Proof validation and modification in secondary school geometry. The Journal of Mathematical Behavior. 47, 1-15. 20. Lakatos, I. (1976). Preuves et refutations: essai sur la logique de la decouverte mathématique. Herman, París. 21. Lee, K. (2016). Studets’ proof schemes for mathematical proving and disprovong of propositions. The Journal Mathematical Behavior, 41, 26-44. 22. Locia, E. (2000). Les contre-exemples dans l’enseignement des mathematiques. Tesis doctoral no publicada, Universidad Paul Sebatier. Touluse, Francia. 23. Lozano, M. D. (2015). Argumentación abductiva y prueba en problemas de geometría analítica utilizando geogebra. Tercer Coloquio de Doctorado, Departamento de Matemática Educativa, Cinvestav. México. 24. Mitchell, T. (1996). On examples, counterexamples, and proof by example. 25. Morales, A. (2008). El papel que juega el contraejemplo en la construcción de las definiciones en matemáticas: El caso de la función convexa. Tesis inédita de Maestría. Universidad Autónoma de Guerrero, México. 26. Polya, G (1958). Les mathématiques el le raisonnement plausible. París. Gauthier-Villar. 27. Stylianou, D., Chae, N., & Blanton, M. (2006). Students’ proof schemes: a closer look at what characterizes students’ proof conceptions en Alatorre, S., Cortina, J.L., Sáiz, M., & Méndez, A. (Eds.). Proceedings of the TwentyEighth Annual Meeting of the North American Chapter of the International Group for the Psychology of Mathematics Education. Mérida, Mexico: Universidad Pedagógica Nacional. 2, 54-60. 28. Weber, K. (2009). How Syntactic Reasoners can Develop Undertstanding, Evaluate Conjetures, and Generate Counterexamples in Advanced Mathematics. The Journal of Mathematical Behavior, 28, 200-208. 29. Zazkis, R. y Chernoff, E. (2008). ¿What Makes a Counterexample Exemplary? Educational Studies in Mathematics, 68, 195-208.